These search techniques, also known as Google Dorks, have been written about quite a bit over the years, although they were a well kept secret from most, even the general public. 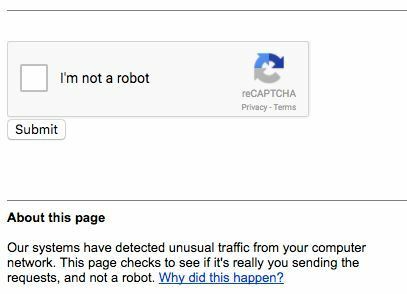 Regardless of what we have been told, Google indexes EVERYTHING, even the items that it is told not to. 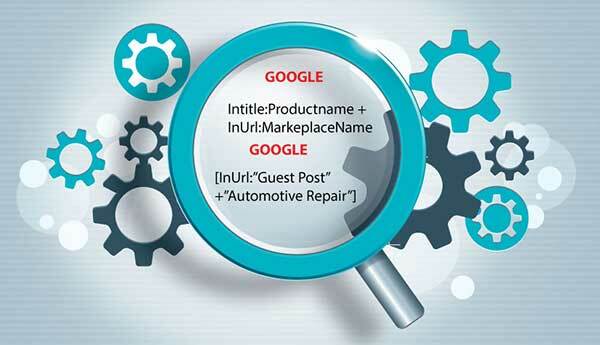 While Google might not index it initially, some other system or component does which is then indexed by Google. It is all there, your first traffic ticket, that risqué selfie you deleted 2 minutes after posting, competitors confidential docs accidentally left on their website back-end, security camera footage, those chats and text messages you think you deleted forever. Face it, privacy, is a thing of the past. You might be the most cautious person in the world, but the institutions we entrust our lives to are not. Humans are careless by nature. A college degree in hacking is not required to find any of it. A good understanding of search operators and how to form queries is powerful knowledge. A lot has been written about Google Dorks & Search Operators over the years although not many people are aware of just how much private data can be uncovered with it. Quite a bit of hacking and private data has been exposed over the years with simple Google Dork search queries. In October 2013, the FBI issued a warning to police and other emergency response personnel about a lethal new tool which ‘malicious actors’ had been using to deadly effect against American government institutions – Google dorks. “unidentified attackers used Google dorks to find websites running vulnerable versions of a proprietary internet message board software product, according to security researchers,” the FBI warning says. “After searching for vulnerable software identifiers, the attackers compromised 35,000 websites and were able to create new administrator accounts. ” The sad part is that with all of our technology, your data is no more protected now than it was in the early 2000's. Now that we are past the depressing state of our privacy in 2018, imagine the power that these same queries, if used ethically and correctly, can provide a business person in regards to fully understanding all of the nuances and strategies of the competitive environment around them! I began using advanced search operators in 2003 to level the playing field for small businesses against the corporate giants they were up against. I never used them illegally in business, probably close, but I was careful not to cross the line. What I quickly learned is that businesses are even more careless than individuals. It was too easy to get the info needed legally to have to do anything illegal. Nothing has changed. It is all out there. It comes down to knowing how to put together the query and what to look for. Figuring out the best way to do it is as simple as .... a google search and some trial and error. "﻿KNOWLEDGE + ACTION = POWER "
Knowledge + Action = Power, sounds so infinitely simple doesn't it? I became very familiar with that phrase long ago when a good friend and his college professor took it to Africa to teach empowerment seminars. The principal they taught was very straight-forward. Knowledge did nothing more than make you smart. Actually doing something with that knowledge, putting it to good use through actions, created power. It put power back in the hands of the individual to better themselves and their lives. Most small business men and women feel overwhelmed from the pressures of running a business in the 21st century. As a result many overcomplicate even the simplest of tasks. It is very difficult for a new ecommerce seller as it seems there is no correlation between any prior business knowledge and getting into the business compared to opening a brick and mortar business. Yet, the principals are the same, the complexities are just as complicated, just a little different. Marketplace sellers are bombarded with tools, webinars, self proclaimed guru's (many actually are nicely dressed snake oil salesman), promising that their way is the right way. Many sellers are so blurry and drunk on the what ifs, they dont pay attention to the details and warnings stated by the legitimate seminar givers, opting to only hear what they want to hear. Advanced search operators provide real data, public data but many times data not meant for everyone to know. No tool, no computed number like bsr, or questionable review can provide you with the detailed information that competitive research does. All of the money spent on many of the launch services and exorbitant PPC spend can be avoided with a detailed, extensive understanding of the competitors, their listings, the environment, the target audience and the strategies done 60 days prior to launch. By the time you actually launch, you have your initial traffic lined up, your optimized listing in place, your audience targeted with converting keyword phrases and copy that speaks to them, all provided by those you intend to overtake and take market-share from. The better you understand your competitors, the easier it will be to take that knowledge and use it as a platform to leap past them. Look at Amazon for example, they use your sales data and metrics to determine what products to sell and private label. While you dump a ton of money into competing for the 2 word phrases on PPC, Amazon is doing close to 60% of its own sales on long tail phrases. Who do you measure product & listing quality against if you do not even know who the competition is and their strengths and weaknesses? Your mission never ends until your rank first for your keywords, Your priority should always be understanding why someone ranks better than you and improving on what they do right. The person ranking better than you should always have a target on their back. Any one of us can pick apart anyone one else and produce a laundry list of the things they do wrong. Competitive advantage comes from understanding what the best do, improving on their model and outperforming them. Don't bring me your problems, bring me your solutions or the information needed to help you create the solution. The purpose of everything I do is to challenge people to step up to the plate. Tell me what your competitors are doing right, I will tell you how to challenge that and make it better. 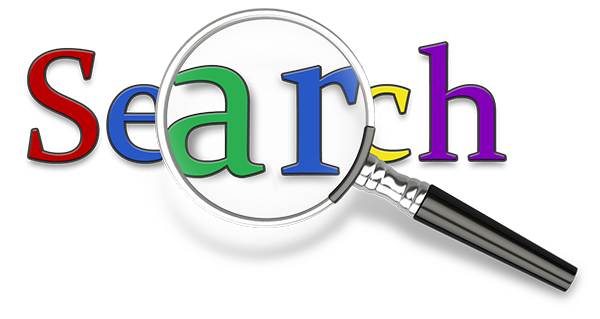 Utilizing the many different advanced search operators listed below, you can gain a wealth of information that will empower your decision making and strengthen your strategies. Thoroughly researching competitor data, listing details, performance, market influencers, demographics, relevant converting keywords, strength of listing message is the most important step in product selection, positioning and listing. Sellers that rely on popular tools, BSR (Best Seller Rank), reviews and other measurements easily manipulated are setting themselves up. Data provided by many of the current tools is easily manipulated. Many of the current Amazon tools are built upon BSR data and data from the Amazon Api. Amazon itself manipulates BSR all of the time and admittedly provides real-time accurate data to no one. Special Search Operators used effectively are key to gaining powerful information and knowledge about competitive details that can do nothing but assist you in making informed decisions. A seller that is at the top of his game in terms of optimization and sales on Amazon plus drives their own converting off amazon traffic is generally untouchable, because such a small percentage of sellers do that. [#][#] or numrange Search within a range of numbers. "link building services" numrange:"$450 $1000"
intitle: Searches for the word or phrase in the title. intitle:"proposition"
allintitle: Searches for every word in the title. allintitle:"inbound marketing campaign"
allinurl: Searches for all words in the url. allinurl:"amazon business models"
allintext: Used to restrict results to all of the keywords appearing in the body. allintext:"video submission sites"
phonebook: or rphonebook: or bphonebook: View all, residential, and business listings. bphonebook:"Ecommerce Optimizer"
author: Search for an author of a newsgroup post. author:"Joe Reichsfeld"
insubject: Search only the subject of newsgroup post insubject:"website optimization"
NOT Returns results excluding everything after the word NOT. "Kim Jung Un" NOT "Jeff Bezos"
“” (double quotes) Use quotes to search for exact match words, a set of words, proper nouns and expressions. "FBA Prep and Ship"
google.com/ncr No Country Redirect, gives you true results from google.com, not google.lv, google.co.uk, or any local versions. google.com/ncr "international fulfillment companies"
+intext:”powered by wordpress”|”powered by typepad”|"powered by blogspot"|"powered by live journal"
Using the search string below, you can find industry profiles or specific company profiles on any social media site. Substitute the appropriate social media site in place of facebook.com. This is very useful during the discovery process during competitive research. Knowing where your competition drives their traffic from as well as where they dont drive traffic can be very useful knowledge in your own strategy designs. Example: https://www.google.com/search?q=himanshu+sharma&tbs=prfl:e or by appending &tbs=prfl:e onto any search URL. LinkFromDomain: Through this search operator you can get a list of all the external links of a website. For example: linkfromdomain:seomoz.org – returns a list of all the external links of the seomoz website. 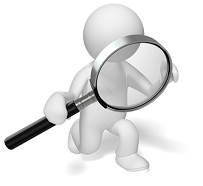 feed: This operator can be used to find RSS feeds of the blogs related to your search term. For e.g. feed:seo – returns the RSS feeds of all the SEO related blogs. prefer: This operator is used to add emphasis to a search term. For e.g. jaguar prefer:car – returns list of web pages which talk about the Jaguar car and not jaguar cat or any other thing related to jaguar. contains:filetype Use this operator to find websites which link out to a particular file type. For e.g. contains:pdf – returns a list of websites which link out to PDF documents. inbody: This operator is used to return web documents in which the HTML body of a web document contains all the words following the colon. For example: inbody:”seo takeaways” Note: inbody: operator can be used to find web pages which mention your brand name but don’t link out to you. Using advanced search operators ethically is in the hands of the user. I left out some of the more sinister commands, but they can be easily found. Using some of what I laid out above, you should be able to gain knowledge about your competitors strategies that you may not have otherwise known. Additionally you can use different combination of the queries to identify many opportunities to get the word out about your brand and offers. Sitting on your hands doing nothing waiting on the marketplace to provide you with traffic and riches will get you a little more than your effort. 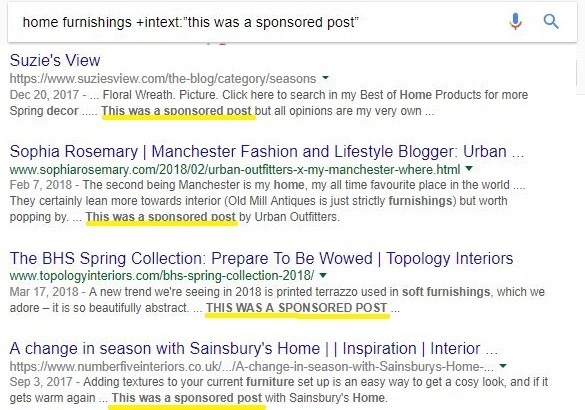 Why not use quick little search queries to identify ways and places to grow your brand that others are not pursuing yet? Work smarter, not harder. Take advantage of the resources at your finger tips instead of throwing money, your precious margins at every little hiccup in the road. Finally, stay safe. Keep your private data safe, dont upload it anywhere or keep it on an internet connected computer. Even that may not be enough because the bank or institution that you trust that data with may not be very safe. Equifax is the perfect example of a company entrusted with the most vital of our data, hacked and allowed to continue business after admitting it was much worse than they first led the world to believe. Wifi enabled devices are every where. There is no real way to protect every single entry point. If you have an Echo at home, Alexa, use Siri, Cortana or any of the the other voice-enabled device, everything you say is monitored and stored in a database in the cloud. Last summer it was reported that a high rollers database was stolen from a casino, hacked through an unprotected Wifi enabled thermometer on the lobby aquarium. How do hackers find those vulnerabilities? By using the right query string of google advanced search operators. It is actually very easy! 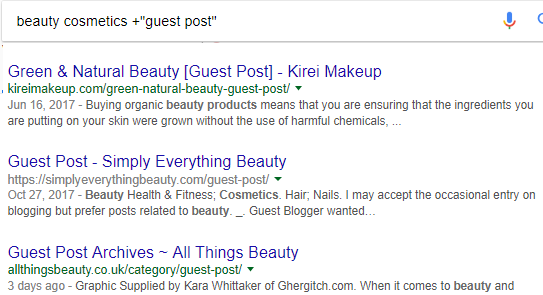 5 List Building Mistakes To Avoid Like The PlagueHaving a list in your marketing arsenal will instantly maximize your outreach.